The feel of riding and durability are two decisive factors when designing seals for forks in motorcycles and bicycles. Especially in off-road applications, such as enduro or motocross, the requirements on the sealing are very demanding. 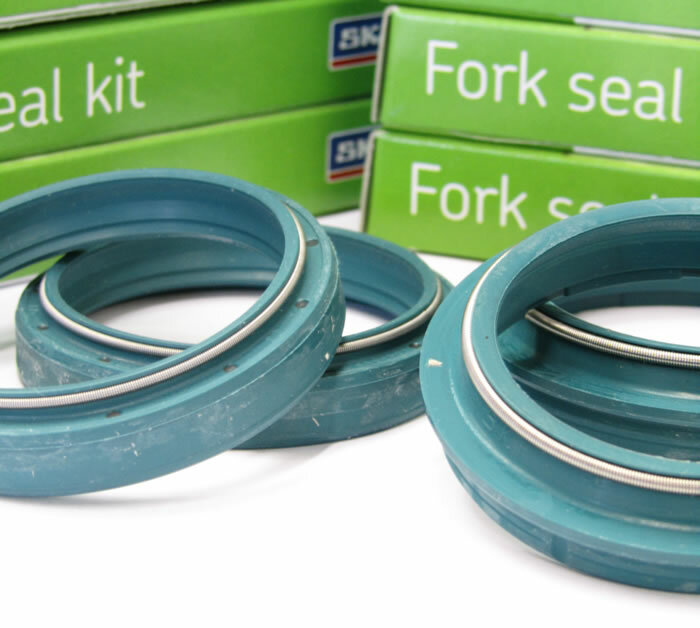 SKF has developed a range of seals with this in mind. Solutions are available for both off-road and on highway use. For motorcycles, the seals come in pairs with a separate oil seal and dirt wiper seal tuned to each other to give low friction for the best riding experience, as well as long life. For bicycles the two seals can be combined into a single unit.